Ali Khan is a law graduate and migration assistant in Perth at Estrin Saul Lawyers, a commercial law firm which specialises in migration law matters. He belongs to the persecuted Hazara community of central Afghanistan. He arrived in Perth in 2009 and was granted a protection visa in 2010. Now, at the age of 28 he has graduated in law from Curtin University, plans to be admitted as a lawyer later this year and is making a remarkable contribution to the community as a paralegal, volunteer and interpreter. 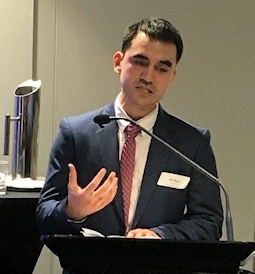 On 16 May, Ali spoke at a Law Week event in Perth, Volunteers and Social Justice, about his volunteer experiences at The Humanitarian Group, a not-for-profit organisation that provides professional and accessible migration assistance, legal advice and education to people new to Australia and living in Western Australia. The event recognised community legal centre volunteers for their efforts in advancing social justice. 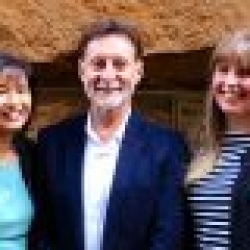 It was co-hosted by Consumer Credit Legal Service WA, The Humanitarian Group and Mental Health Law Centre and the Honourable Wayne Martin AC, Chief Justice of the Supreme Court of Western Australia, was the guest of honour. Ali has been a volunteer at The Humanitarian Group since 2015. While completing his practical legal training placement with The Humanitarian Group, he worked within both the migration team and the general legal team. Under the supervision of lawyers and migration agent, he gained legal experience in migration law, criminal law, family law and property law, drafted legal documents, conducted client appointments, as well as helping out with the never-ending tasks of photocopying and scanning client documents. His language skills, as well as his legal knowledge meant that he can also step in as an interpreter for Hazara clients. Ali spoke about the importance of volunteering to the development of his skills as a lawyer and poignantly stated that the best way to develop a pro bono ethos is to volunteer at a community legal centre.